Aside from Hinabyog Festival which is held every month of November, there is another celebration to look forward every year in the town of Esperanza in Sultan Kudarat, the Halo-Halo Festival. Esperanza is known for its delicious Halo-Halo, the popular Filipino dessert which is a mixture of shaved ice, evaporated milk, boiled sweet beans, caramelized plantain, dried and fresh fruits, ube jam, leche flan and other ingredients. There are atleast 30 stalls in Esperanza Public Market that serves this delicious and refreshing dessert. 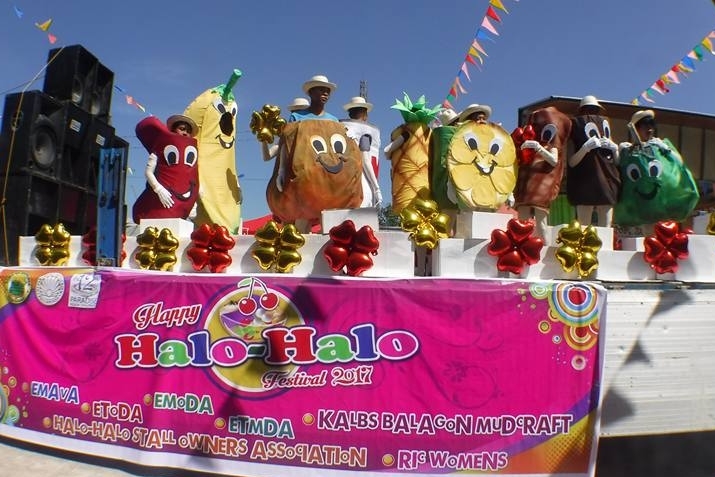 Officially launched last April 7, 2017, Halo-Halo Festival will become the town's annual summer celebration and is aimed at promoting Esperanza as the Halo-Halo Capital of Sultan Kudarat. Among the exciting activities during the 3-day event is the tube painting contest held at Margues Cold and Hot Springs Resort, brain freeze challenge, Halo-Halo Eat All You Can, best halo-halo stall contest, the search for Esperanza's best halo-halo and many more.